Even though Big Bear has some of the best skiing and snowboarding in the state, with virtually no lines, the pinnacle of our most recent trip was a 8 wheel drive off road adventure. It was more than spectacular to experience the back country of the San Bernardino mountains from a heavy duty off-road vehicle. Our tour with Big Bear Off Road Adventures was nothing less than fabulous and absolutely unforgettable, taking us to breathtaking vistas and allowing us a behind the scenes perspective on the beauty that is so unique to Big Bear. Our guide/driver Eric was the best. We even got to “off-road it” and explore an area where Bonanza was filmed many years ago. 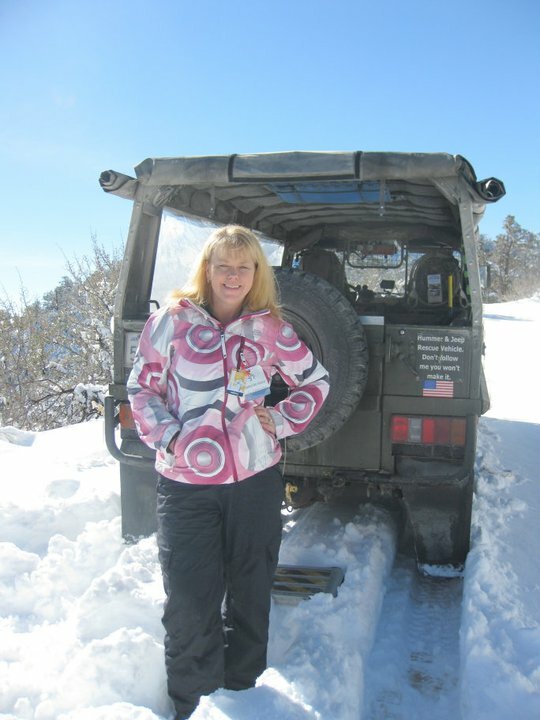 The abilities of the off road vehicle allowed us to traverse thick, virgin powder and to see winter wonderland sights that were literally inaccessible to anyone else. It’s not just a ride; it’s an adventure! Right before we went off-road, we even stopped at Maggio’s Pizza and got the best “to go” salads and calzones we could have ever dreamed of. Fresh, delicious ingredients made our lunch stand out as truly memorable. We love skiing at Big Bear. 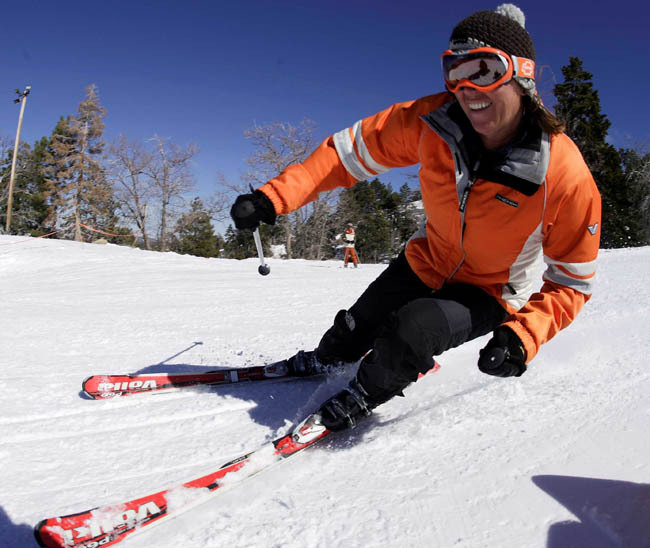 Friendliness and no stress are what make skiing at Big Bear a sheer delight. Much more than just a skiing and snowboarding destination, it has all the bases covered when it comes to an all inclusive snowy destination that rivals Tahoe or Vail. Snow Summit and Bear Mountain visitors will appreciate the unique flavor with beautifully manicured slopes, friendly and competent instructors, and the feeling that you’ve stepped back in to a simpler day when a couple could spend more time skiing and less time waiting to have fun. Moonridge Park is a wonderful zoo/animal park open all year so a couple can really enjoy seeing animals in their natural winter environment. It’s exhilarating to actually see a snow leopard romping in the snow or a bear family frolicking in fresh powder. Try a beginners snow shoe tour at the Big Bear Discovery Center, or an afternoon on the Alpine Slide or tubing. The “snow much fun” options are virtually endless. Before you retreat back to a comfy cabin, you’ll want to explore the wonderful dining in Big Bear. Again, lots of choices. Sonora Cantina serves great food and ambiance at reasonable prices, and with good portions. The Himalayan is the only restaurant in Big Bear to offer Indian and Nepalese food. It is outstanding. With delicious sauces, warm and delicious Naan, Tandoori entrees, and using only the freshest herbs and ingredients, this place is healthy and wonderful. We loved every bite. It’s family operated and provides great food with exotic flavors. It’s the perfect place to warm up with remarkably good and filling food after a day in the snow. Mountain West Vacation Rentals provided us the ideal location from which to get the most out of our delightful Big Bear Adventure. Our cabin was clean, cozy, well-appointed and central to all the fun. We enjoyed games, movies, a telescope, a wonderfully stocked kitchen, extra blankets, and nice, rock fireplace. It truly felt like a home away from home. That’s so important when you travel as a couple and are go, go, go with lots to do and see. The folks there were friendly and helpful. It’s a top notch vacation rental operation. 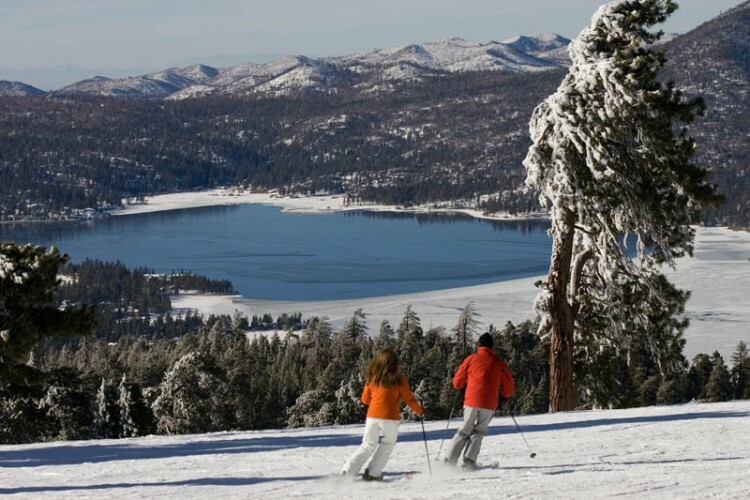 Take note that Big Bear Lake is less than two hours from Disneyland and LAX or Orange County airport.